UK broadcaster ITV is set to acquire the television assets of The Weinstein Company in a deal worth US$950 million. A deal, comprising an initial down payment of around US$400 million, would come hot on the heels of ITV’s acquisition of John de Mol’s Talpa Media. 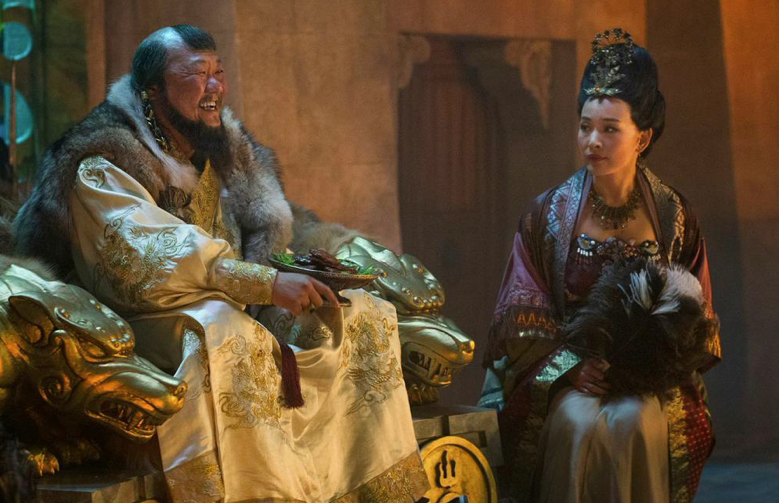 According to The Hollywood Reporter, which broke the news, ITV will pay an initial US$300 million to US$400 million for Weinstein’s TV division, which is behind shows such as Netflix’s Marco Polo (pictured). This figure will increase based on compensation and bonuses that would take the price close to US$1 billion, and would see current Weinstein execs remain in control of the company as managers. Privately-owned TWC, which is behind films such as The Imitation Game, could not be contacted for comment before press time. The company produces TV shows such as Lifetime’s Project Runway, TLC’s Myrtle Manor and VH1’s Mob Wives. It is also working on a second season of Marco Polo, the Scream TV series for MTV, and a War and Piece miniseries coproduced with the BBC. It also co-created Peaky Blinders with the BBC. For ITV, the deal would further increase its position in the US production market, having emerged as a key player after a series of prodco acquisitions toplined by the US$360 million purchase of Leftfield Entertainment. It also bought controlling stajes in Gurney Productions (Duck Dynasty), Thinkfactory Media (Hatfields & McCoys, Texas Rising), DiGa Vision (Teen Wolf) and High Noon Entertainment (Cake Boss), and has a joint venture with Marty Adelstein, ITV Tomorrow Studios. The acquisition of TWC’s TV business would hand the UK network its first significant scripted presence in America, however. An ITV spokeswomen said: “We do not comment on speculation”.